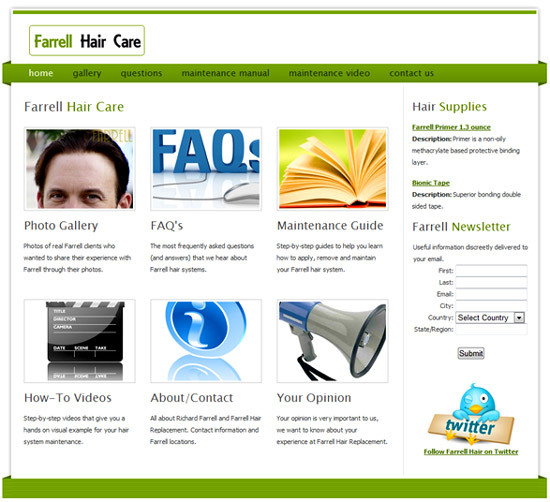 The Farrell California Client Support Site is provided as a free service to our clients. We have designed the site to provide our valued clients with a wide array of information including step-by-step procedures, how-to videos and detailed instructions with pictures. Offering unparalleled client support 24/7 to ensure that all of our clients have access to every possible resource availble when they need it most... day or night! In order to use the Client Support Site you will need to be an exisitng client, and you will need to have a login to the website. To request a free login please submit your information below. If you have already received a login, but have lost or forgotten it you do not need to fill out the form again. Simply contact our customer service at 877-787-4247 to have your login emailed to you. Before we can send you a login to the Client Support Website we need to know where you had your hair system fitting, it's important for our records in order to better serve you in the future. 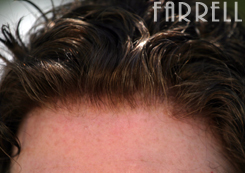 Farrell Hair Care was created to give our new and existing clients 24 hour support. We know that many times you will have simple questions which can be answered by watching a video or reading some of the most commonly asked questions. Sometimes your questions are going to require talking with a professional, and were here for you when you need us, just call our toll free number for complete live support. For those of you who would prefer to browse at your leisure, your going to love this site. You can watch our original How-To videos that show you step by step everything you need to know about your new Farrell California hair system. There’s also a FAQ’s section where you can find answers to most of your questions immediately, and since were always updating the FAQ’s you will always find the most up to date information here. There are maintenance guides for those who want step by step guidelines that will give you very detailed information, you can read these guides on your own time and when it’s convenient for you. And because we want to continue making our information better and easier to use, we also have an opinion and suggestion center where you can give us input to help make the Farrell Hair Care center even better. Wearing my hair gave me a boost of confidence that is hard to believe. I know it carries over to other parts of my life, too. Many believe I have lost weight and I have lost weight but having hair and looking good has really made me want to improve everything else about my looks and my wife Patty couldn't be happier. I feel grateful for what you have done for me. I could not possibly thank you enough for getting my hair ready in time for my big day. I don't know what I would have done. On of our trip to Cancun my hair withstood the elements for seven days. You have done so much for me, I feel like the quality of my life has already changed. Please tell me how to send you a gift we brought back from Cancun. I just wanted you to know that I was very pleased with my hair system. Your staff gave me excellent service during my last salon visit. They were very professional, compassionate, and pleasant. I also was made to feel very welcomed. The salon was very nice and they all made me feel very special, and not just another number.